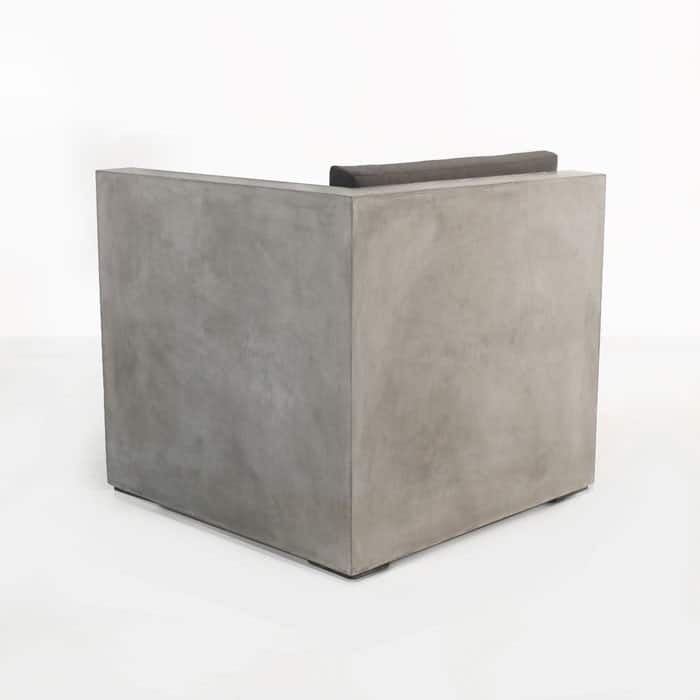 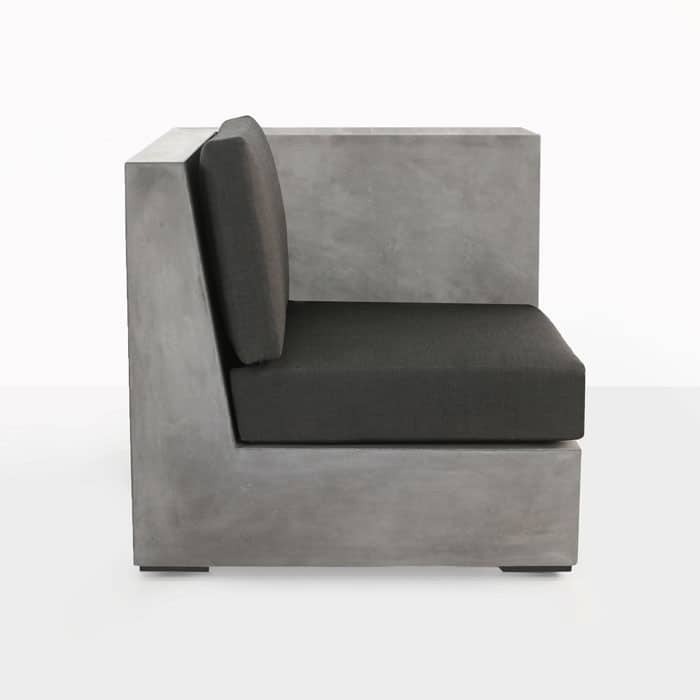 The Left arm Chair is an endcap for this gorgeous concrete outdoor seating collection. 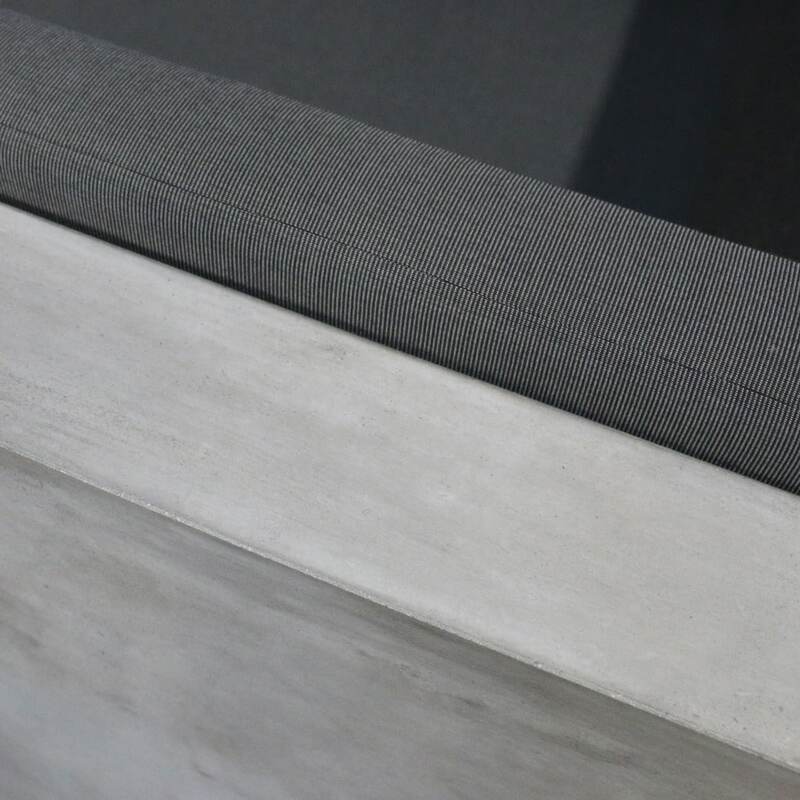 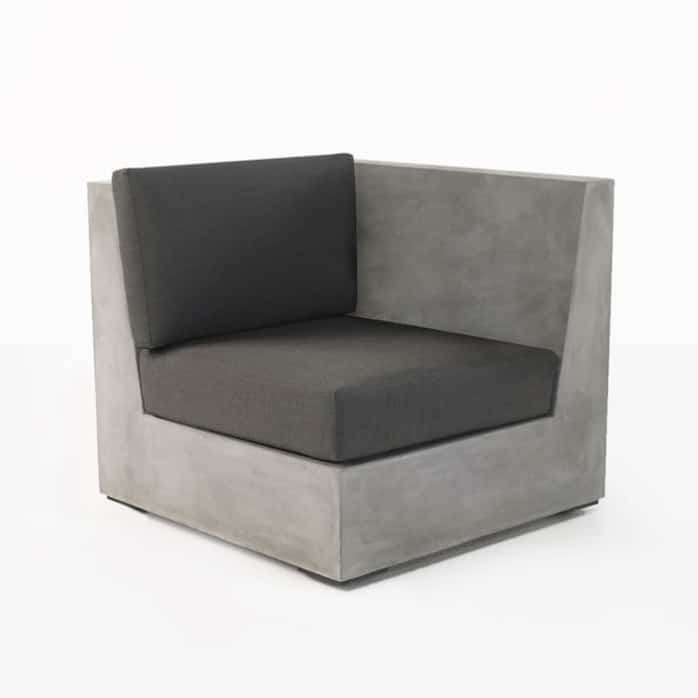 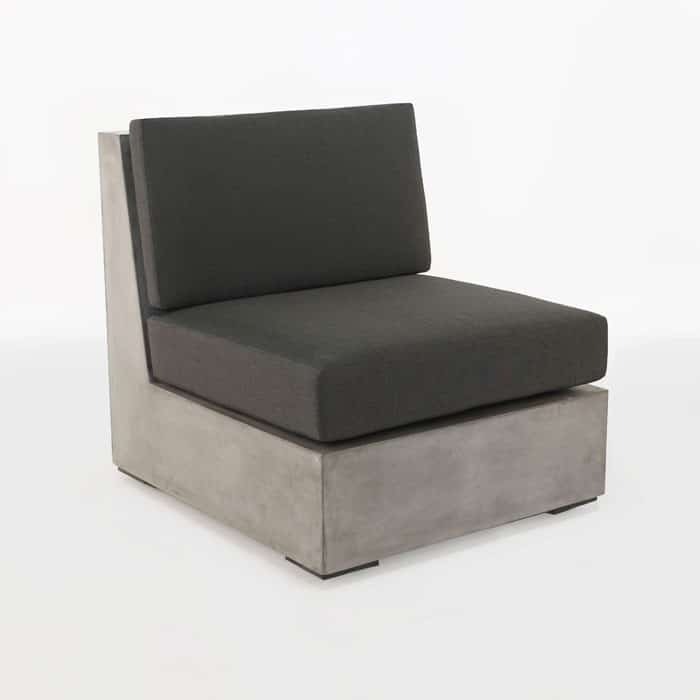 This piece features a high end look made from gorgeous, smooth lightweight reinforced concrete that gives your outdoor space a raw, natural clean look, while providing a monolithic feel and offering a comfortable deep seating experience. 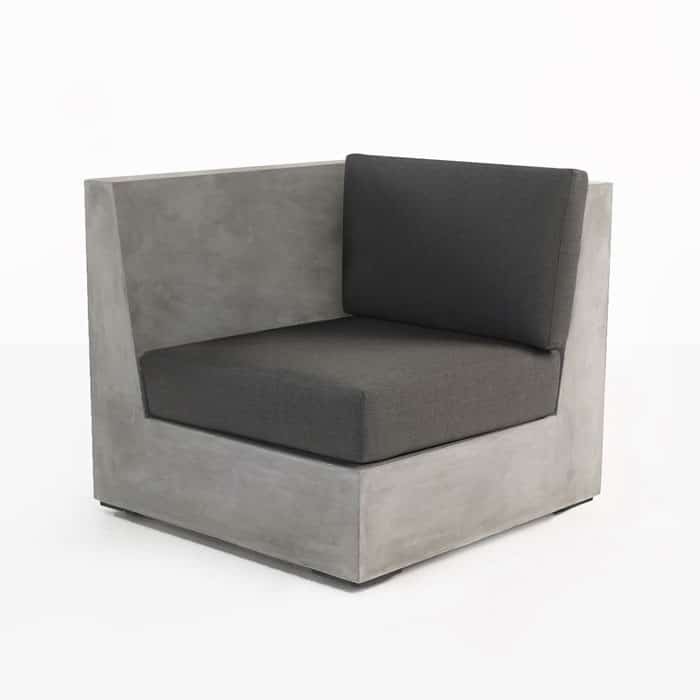 This left arm sectional piece also includes a Sunrbella Cushion for the seating surface and one back surface. 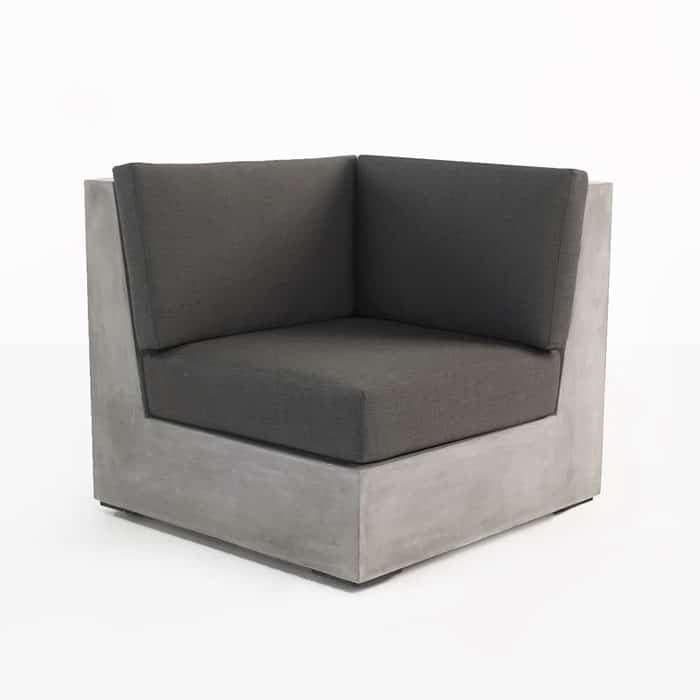 This piece offers the perfect endcap for a complete sectional sofa with a linear or L-Shaped look.